Not wanting to buy an off the shelf chandelier for our dining room, I searched for something a little different and more us. 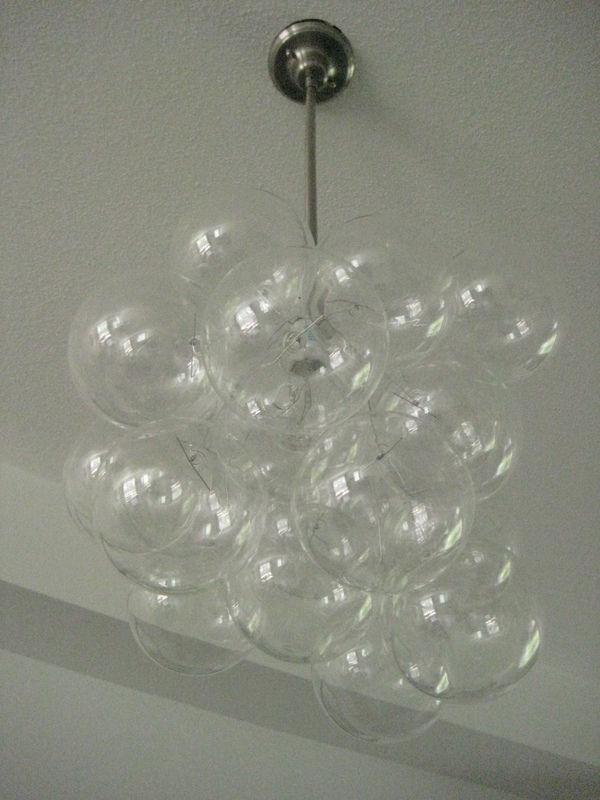 After months of searching, I found what I was looking for: Jean Pelle’s bubble chandelier. Not able to spend $4000 (including tax and shipping), I decided to make my own. During my research, I came across this! Without saying, we made our own adjustments… total just ~$100! Hand blown glass bubbles can be purchased at CB2. After moving into our new townhome, I started looking for some original decor pieces. 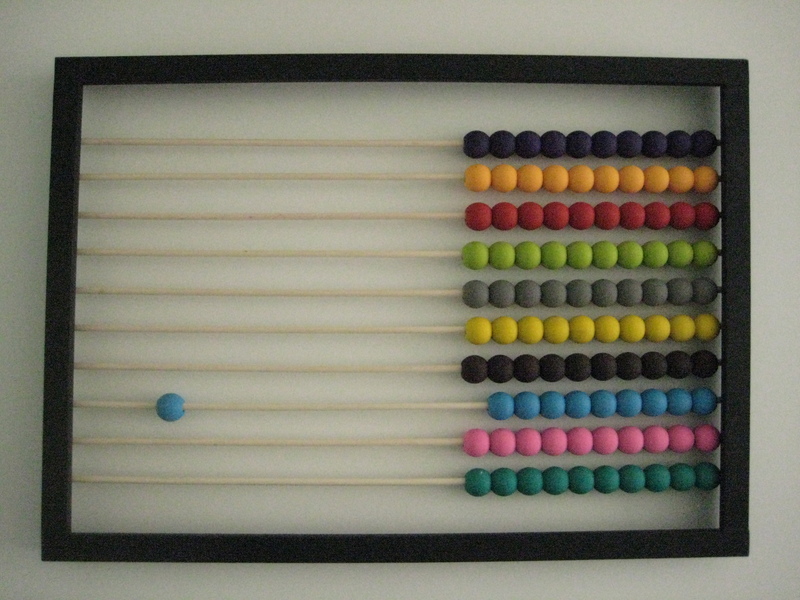 And that’s when I ran into the jumbo abacus from CB2. 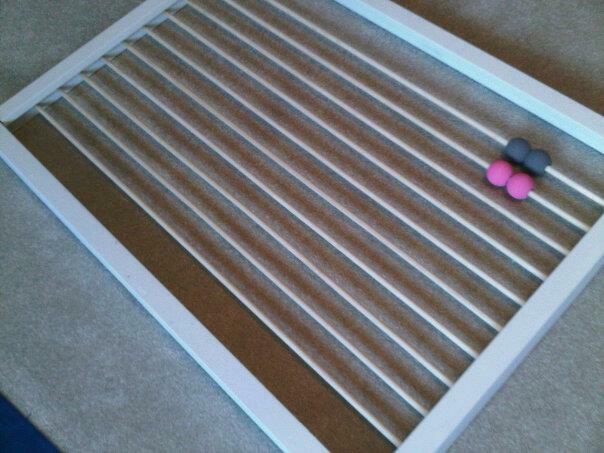 But being a combination of frugal and inspired, I wanted to make my own – that’s when I came across: Anything Pretty. 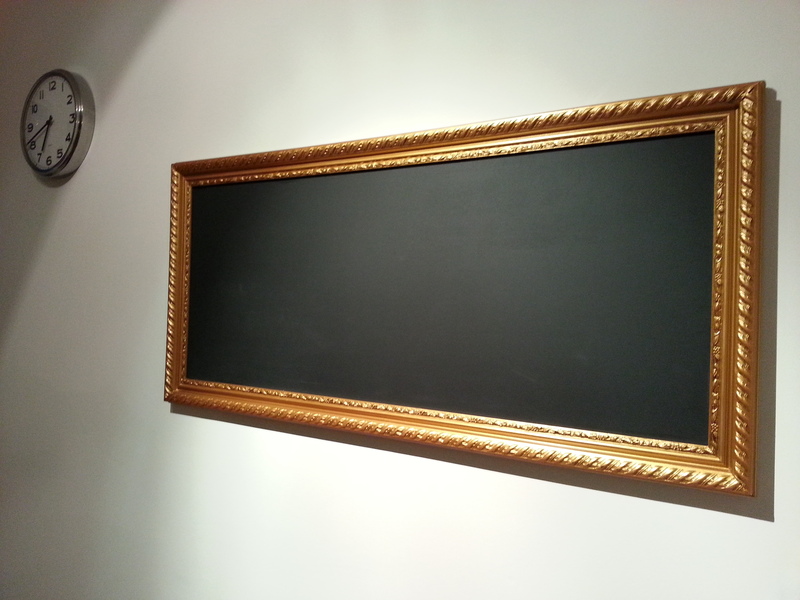 Our frame is slightly different but the idea is the same (approximate size ~ 2′ x 3′). Recently our guests have been using it as a drink counter, where all balls begin on the right, each person chooses one colour and each ball slid to the left counts the number of drinks consumed – a modern twist to a traditional tool! Everyone loves it! In fact, after seeing mine, I inspired two other coworkers to make their own!